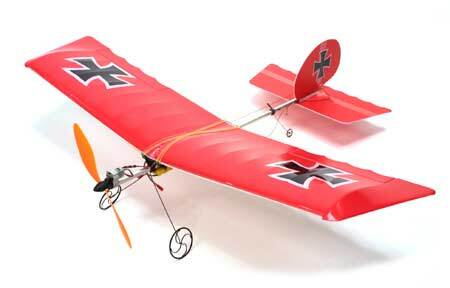 I have zero experience in RC aircraft, neither in control or how the control surfaces directs the aircraft, where can I learn the dynamics of flight and can someone suggest a good trainer for someone like me who has even less experience in this awesome hobby than Joshua Scott? There's lots of experience talking here, and there's lots of people with the same model who have done anything you can think of with them. Check it out and ask away. If you're a newbie like I was, you'll want to practice a lot on a simulator. It's worth every penny of it, as you won't crash in your first 3 seconds of flying. For sure spend your money first on a good simulator...skip the freebies if you can. The program physics are just more realistic on the paid simulators like RealFlight, Phoenix, or Aerofly. I always recommend starting with the GWS SlowStick. I think it's the best route for beginners b/c you'll have to do some research on components since the kit only includes the airframe and motor so you get to research the couple other components needed. The knowledge gained here will help when it's time to build your 2nd plane. Don't listen if anyone tells you they're fragile. I crashed mine more times than I can count when I was getting started and it was nothing tape couldn't fix. I agree that sims are great and worth the money, but I wouldn't say they are necessary. I personally started with the cub with zero flight experience and now I've worked up to 3D and Helicopters and I only bought the simulator when I got into helis. Like I said there are some features that the cub has that allowed me to be pretty successful right away. It really all depends on what you are looking to get into and the resources you have available. If there is a local field and club, go spend some time watching them fly. Get an idea of what flying looks like, make some contacts and ask lots and lots of questions. Most clubs have a couple designated instructors that enjoy teaching new people to fly. This is the best possible way to gain understanding of how things work. Talking with a good hobby shop would be the next best place for information as they can pull out a plane and show you exactly how the controls work and let you put your hands one them. After that, if you have to go it alone, the options are still just as many. There's always youtube with tons of information but finding what you need may be difficult. If you want to get a simulator, then I would look at the freebies first just to get a feel but if you like the simulator and want to use it to train before flying for real then you need to spend the money on a good one. I have recently talked with people who fly helicopters on Phoenix and they struggle horribly but say that they can fly wonderfully on FMS. Being that I fly rc helicopters in real life and on Phoenix I can tell you that it's very very close to real. My Blade 400 flies the same on Phoenix as it does in real life. That tells me that the Phoenix simulator is more difficult because it's closer to reality. You don't want to get good on a simulator that isn't realistic because when you transition to a real plane you aren't going to be as prepared. I did a lot of researching and found that Phoenix was the best for helis and Realflight is the best for planes. If you want to skip the simulator it comes down to how much do you want to have to know right off. Personally I didn't care about the motors or batteries or anything else, I just wanted to fly. I wasn't interested in building. That's why I chose the Hobbyzone Super Cub. It also has a feature called ACT (anti crash technology) that senses the horizon and helps keep you from nose diving. It's really helpful when you are starting out, then becomes a pain when you are starting aerobatics so you just turn it off. Literally everything is in the box so there's no question of does it fit, or is the kv right for that battery etc. If you are interested in the building and want to learn about the components, then the sky is the limit. There are hundreds of good planes out there, the slow stik, the bixler etc. All good planes, but they require more time on your part doing research and then finally assembling things. That's a good way to do it also. Like I said, it comes down to one thing. What are you interested in doing? I did a quick search and found a few videos that may help you out. Then click on part two and three. There's tons of how to fly rc videos. I'm with AK in that flight sims are not necessary. However, if you have absolutely no "feel" for flying, they may be a good idea. The dynamics of flight are very simple once you understand how it works. The Horizon Hobby Super Cub is THE airplane for someone with no flight experience. If you feel you are losing control, release the controls and the Cub will right itself. In my opinion, the anti-crash technology is horrible. NEVER turn it on! The plane is so stable and docile it will take care of itself. I am going to hazard a guess that, at this point, you really just want to fly something. The Super Cub will allow you to do that. When you get bored with it, and if you want to continue in the hobby, the Cub is easily modified to a MUCH higher performing airplane! I started with the Cub. I had no previous RC experience. However, I have spent time flying the real deal, so I had that "feel" for flying. Still, the Cub will literally fly itself. The Cub was my first plane. I've modified it. I've repainted it. I am currently adding sailplane towing capability to it. It NEVER gets old! Go with the Cubby! However, if cost is an issue, the Mini-Cub is not a bad airplane. Given the choice, though, go with the Super Cub. teach hit on a point. These trainer airplanes really do almost fly themselves. I have done several demonstration flights for new pilots where I don't even touch the elevator. I throttle up and the plane takes off on it's own. Then I just throttle back until the plane has a level attitude and bump the rudder a few times until it makes a turn and is pointed back at the landing area. Then all you have to do is back off the throttle until you get a nice gently approach and blip the throttle a little before touchdown and it's done. Also when you get out of shape you can let go, cut the throttle and if you have enough altitude it will self correct. I have also demonstrated this often as new pilots are not comfortable flying my plane until I show them this. I take it up a hundred feet upside down and stall it, then chop the throttle and let go and it comes right around. Most trainers will have these super gentle characteristics. The Horizon Hobby or Hobbyzone (same thing) Super Cub has lots of it. The durability is also fantastic. Clear tape and a little hot glue and you can keep flying that plane for years. I will say that I appreciated the ACT at first and it did help me initially. I would try it with it first. If you already have some experience or "feel" then it's more of a problem than helpful. If you are totally green though, it will help you. When I train new pilots on their planes that still have it, most prefer to keep it on for a while then turn it off later as they get better. Usually within the first few batteries. Once you think you've outgrown it, the fun is just starting. Mine has floats, straightened wing with ailerons, bigger tires, custom gear, brushless motor, bigger batteries, parachute drop, skis, camera mounts and more I haven't thought of yet. I never get tired of it. +1 on the Supercub- Best one box trainer out there period. Another really good trainer plane is the CTH EPP Albatross. You can't get into it as cheap as a slow stick but it is a great flyer and if you are committed to learning the hobby it's a great way to go. I don't recommend slow sticks any more (for first planes). I'm going to disagree with some people here and say it is too fragile for a first plane. It is a good plane and can be a lot of fun but can be aggravating for beginners. if you go that direction do your homework first and have a resource for parts. Wow a lot of really great information! Thank you guys so much for all your advice, I'd like to keep my budget under $400.00 for the plane alone, I'm thinking a DX8 radio cause it can fly anything but maybe I'm getting ahead of myself. That's a really advanced radio that has bells and whistles a newbie like me wouldn't use right off so maybe some feedback on the radio? What I'm hearing basically is the Cub is good for me with shall we call it "newbie pilot flight characteristics" so I believe that sounds like the idea, as for Simulators it seems to be kind of even pro and con for airplane flight training but I will definitely take AK Flyer's advice and look for clubs in my area and go network. Thanks again guys and I really appreciate you guys taking time out to help a noob. CHEERS! Let me know when you get your plane and I can give you some easy tips to make it last a whole lot longer. Crash proofing if you will. The RTF DSM is the way to go. Don't get the cheaper LP because it only comes with a 3 channel FM radio and the electronics are different. All the mods and extras we're talking about won't work with the old one. I have a DX8 and I love it. But, I fly 14 models up to nitro planes and heli's. My friends have the DX6i and it's more than enough radio for plenty of models and lots of learning. You can buy the transmitter only later on or get one with the receiver if you plan on building something else. Everyone I know in the USA flies mode 2. Things I recommend doing first are upgrading to larger tires. I was able to find 2.25" wheels at a hobby shop that fit right onto the stock landing gear. This will keep the wheels from catching on everything and nosing over and breaking your prop. It will also give a little better prop clearance. Buy extra props, but buy the 10x8 that comes with the float kit. This is a bigger and more aggressive prop. It comes with the float kit because it needs more power. I prefer flying with it all the time because of the extra performance. It will almost hover with that prop. Again, don't blow your money on the big big radio just yet. Fly with the DX4e that comes with it. It has the trainer capability and it's also the radio that comes with some of the small helicopters as well so you can start buying bind n fly planes and heli's. Here's a link that will help you find a local club. It's through the AMA (Academy of Model Aeronautics) and will help you find chartered clubs and flying fields. Welcome to the hobby and as always let us know if you have any questions of any kind. We all love weird challenging questions. And, you could do scratchbuilding for your 2nd or 3rd plane, I scratchbuilt my 2nd, and it got me hooked xD....I've scratchbuilt about 5-6 planes so far....And, though there is dissapointment when a scratchbuild fails, it can't compare to the "awesomeness" of when it is a success. 200 bucks or less gets you ready to rock in a Supercub (DSM RTF). If you are committing to the hobby and have your sights set for the DX8 go ahead and get the Bind and Fly version. Starting out with a good programmable radio will set you on the way to be able to enjoy any of the bind and fly series of planes and helis. You won't need to have the programming for the cub (or almost any trainer) but they can come in handy very quickly as you advance in towards other planes.